Scientists state that the pug face is the result of a series of specific genetic variations. As far back as the Chinese Song Dynasty of 960 AD, the pug was a breed that lived literally in the lap of high luxury. They were known for their short snouts and pug face and also unusual snorting and gasping due to breathing problems caused by the elongated palates. This affliction is more commonly known as brachycephaly. The deformity of the pug snout is the result of their unique breeding by the Chinese. Consequently, a genetic mutation occurred that puzzled scientists for centuries. Now, researchers may now know the answer to the questions brought by the pug face. The results of a recent canine study were published in the May 2017 issue of the journal Current Biology. Its aim was to try to determine the cause of brachycephaly. The research team used an X-ray process on the cranial area of 374 dogs brought into a veterinary clinic. This group of dogs included 84 pure breeds identified by the Kennel Club of America as well as 83 mixed breeds. The team kept in mind that each dog breed that exists exhibits a particular cranial shape based on its environment, diet, and breathing patterns for overall survival. Then, they concentrated on the focus of the study and created 3D models of each dog’s skull thanks to the x-ray scanning process. 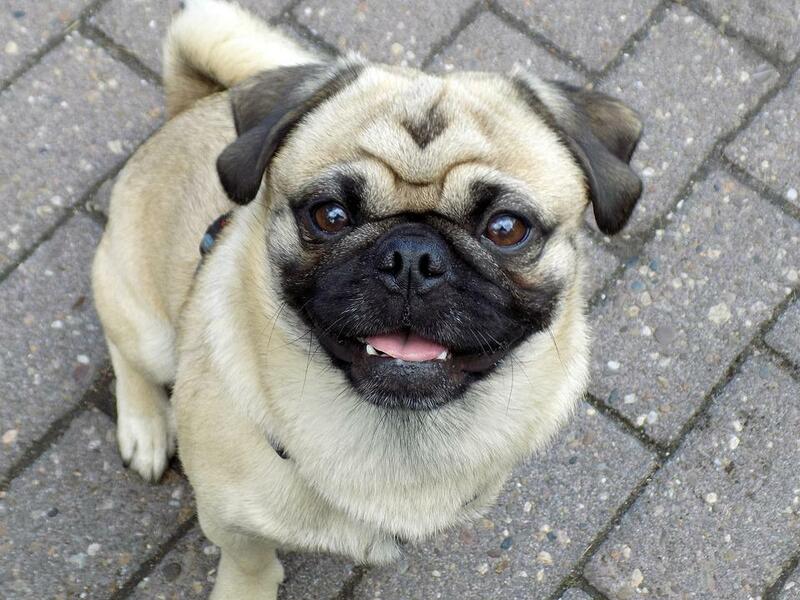 The result was the discovery of some genetic variants in dogs with pug-like features. One, in particular, was a long, interspersed nuclear element referred to as LINE-1. This was detected in a gene identified as SMOC2. By comparing the genetic variations of each breed that participated in the research, they were able to hone in on a specific part of DNA. Called QTL, this is directly related to the brachycephaly affliction that pugs and pug-like breeds suffer from. Nonetheless, the group of scientists could not yet pinpoint the exact gene mutation that causes the smooshed faces of the pug and other dog breeds with similar facial features. Still, scientists are now closer to know the answer to what causes the pug face.